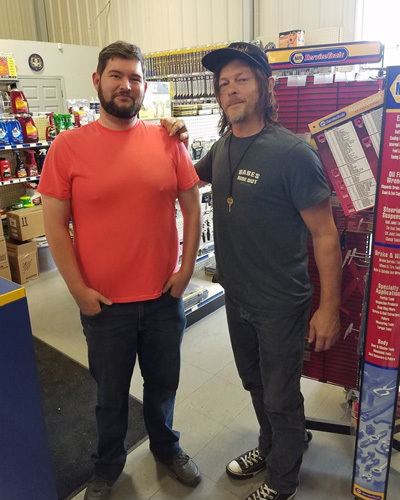 You never know who might show up at an auto parts store. 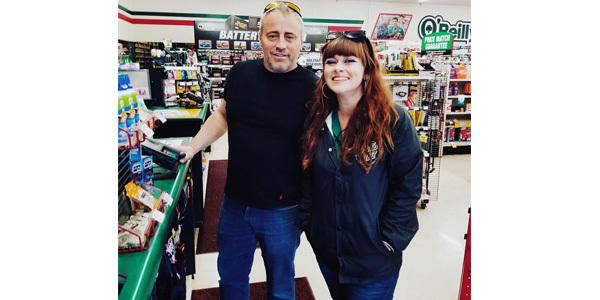 Case in point: The actor Matt LeBlanc, best-known for his role as Joey Tribbiani in the NBC sitcom “Friends,” recently popped into an O’Reilly Auto Parts store in Santa Monica, California. O’Reilly proudly posted a picture of LeBlanc on one of its Facebook pages. Previously, as a guest on “Top Gear,” LeBlanc set the record for the fastest celebrity lap on the show’s Reasonably Priced Car Track. The record LeBlanc established in Season 18 held up until Season 24, according to the “Top Gear” website. Not to be outdone by LeBlanc’s cameo, Facebook user Jenniferlynn Smith posted a picture of comedian Jeff Foxworthy visiting O’Reilly store No. 3955 in Duluth, Georgia. 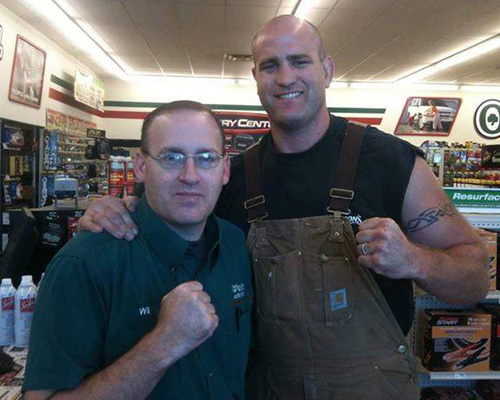 Wil Melton shared this picture of former UFC fighter Brad Imes visiting an O’Reilly store in Missouri. Imes is so large “he had to lean down to get in the door,” Melton recalled. If you’ve had a celebrity encounter at your store, we’d love to hear about it!